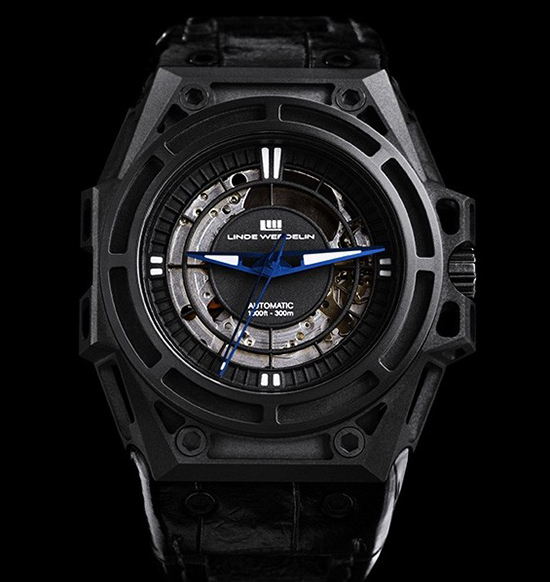 Linde Werdelin is a relatively new brand, founded in 2006 by two Danish guys, Morten Linde and Jorn Werdelin. 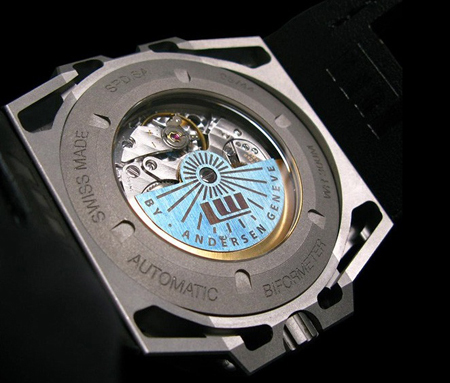 Unlike many other new brands Linde Werdelin aims for high quality, Swiss craftsmanship and avant-garde technology right away. This combined with a design that reminds us of what Gérald Genta did for us in the 1970s with his Audemars Piguet Royal Oak and Patek Philippe Nautilus, created a real buzz in the world of exclusive timepieces. Since a year or so Linde Werdelin is very present on the internet with their marketing campaigns through watch portals, popular blogs and social sites like Facebook. In combination with advertising in traditional media and being present on the important watch expos like BaselWorld and GTE in Geneva, they have put themselves on the horological map in a short amount of time. However, here at MotoringExposure we can tell you out of first hand that not only the marketing campaign is excellent, the Linde Werdelin timepieces are stunning as well. The concept of Linde Werdelin watches is all about the ultimate mechanical Swiss made sports watch, influenced by innovative Danish design using the latest technology and be able to use clip-on digital devices for climbers, Alpinists and divers. 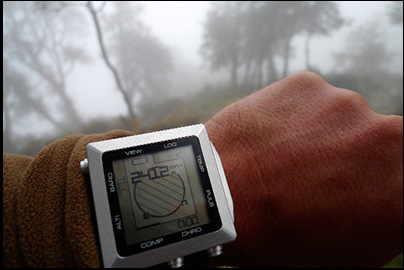 These digital add-on modules go by the names of The Rock and The Reef and enables the user to read valuable information during climbing, skiing and diving activities. In the Linde Werdelin product family, you will find The One (all-rounder), 3-Timer (timezone watch), Oktopus (diver) and the SpidoLite (climber). These watches can all be combined with the aforementioned add-on modules The Rock and The Reef. Just recently, Linde Werdelin introduced some new additions to the SpidoLite family. Besides the normal SpidoLite models, there was this SA edition. SA stands for Svend Anderson, master watchmaker and one of the original founders of the AHCI (Horological academy of Independent Creators). Svend Anderson created over more than 100 unique timepieces in the last 30 years and is one of the most respected independent watchmakers in the world. Linde Werdelin, together with Svend Anderson, worked on a vintage A.Schild caliber 1876 that dates from 1970 to be used in the SpidoLite SA watches. The movement, modified by Svend Anderson, has this amazing blue gold rotor that visible through the transparant case back and through the skeleton dial. 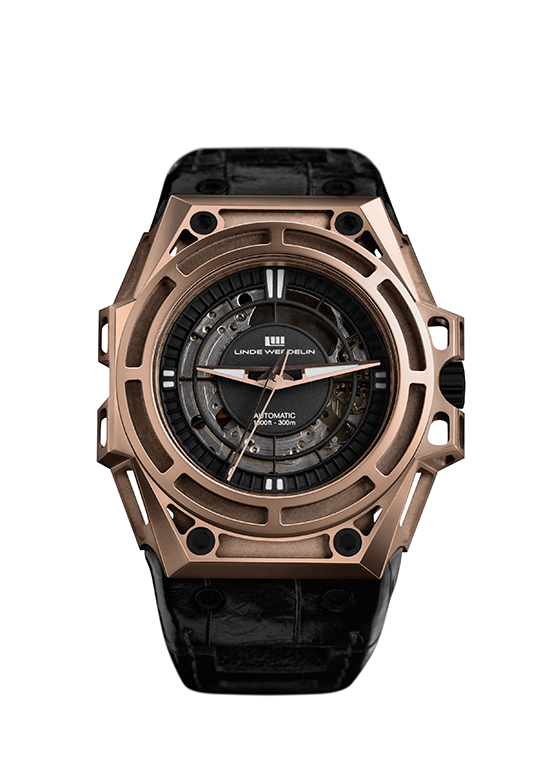 Now, Linde Werdelin’s recent additions to the SpidoLite SA family are the rose gold SpidoLite SA (16800 Euro) and the All-Black SpidoLite SA (9800 Euro). 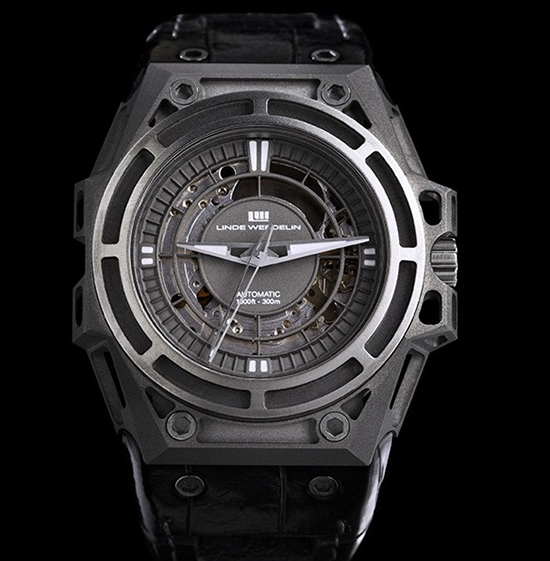 Linde Werdelin’s watches start around 3400 Euro for the The One models in stainless steel. 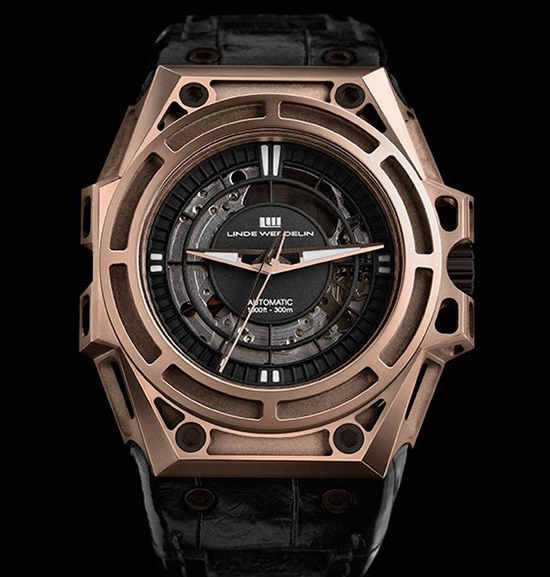 The red gold SpidoLite SA and the All-Black model are limited to 88 pieces each, in line with their production number system of 22, 44, 88 or 222 pieces of each watch model. The rose gold SpidoLite SA is the one that we adore here at MotoringExposure. The red gold material is a feast for the eyes and in combination with the thick alligator strap it breathes luxury! As with the normal SpidoLite models, the case has been skeletonized to keep the watch as light as possible. With a gold watch this might seem a bit useless, but the Titanium/DLC models are extremely light-weight and are therefore very suited for rock climbers. Also, when the add-on instrument ‘The Rock’ is added to the watch, the weight will be still very acceptable for professionals. If you are interested in their timepieces, Linde Werdelin enables you to test-drive their watches through a special programme called Linde Werdelin Try It!. This program allows you to test a Linde Werdelin watch (and/or instrument) for 5 days free of charge. All the logistics (pick-up and delivery) will be handled by Linde Werdelin.